The Build-A-Home Project began life in 2005, following an anonymous donation that helped construct a simple house for a widowed mother and her five children. Prior to the completion of the project, the family had lived in dilapidated and unlivable conditions. The tin roof leaked so much that a water pool had grown in the mud floor, putting at risk the health and safety of her children. Since then, Volunteer for the Visayans has continued to build houses for families living in unsafe and uncomfortable living environments. From as little as one hundred fifty thousand peso (P150,000.00) or just over three thousand dollars, Volunteer for the Visayans can complete a simple safe living structure for a low income family. This is a great project for a philanthropy or club donation. Unlike many of our projects which involve nurturing and education, the Build A Home Project has instant results. A poor family is given a better life in just a couple of weeks. Since Typhoon Yolanda (Haiyan), the need for strong sustainable living conditions has never been so dire. All across Leyte and Samar, thousands of families have been displaced and are currently residing in refugee camps as a result of their homes and all of their belongings being swept away by the 20 foot storm surges that devastated coastal communities. The situation with rebuilding homes however is not as simple or as clear-cut as one would immediately think. In many cases, families cannot build on the site of their previous homes if they are located within 50 meters of the shoreline, and even if they could many of them did not previously own the land on which their previous home was located on. For this reason, Volunteer for the Visayans are liaising closely with the Local Government Unit in all affected communities to look for viable solutions towards the housing and relocation of many families of children enrolled on it’s Child Sponsorship Program in the Municipality of Tanauan, Leyte. Until then, work through the Build-A-Home will continue as we turn to some of our families in Tacloban City in order to provide shelter for families who’s homes suffered severe structural damage during the storm. 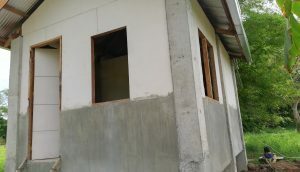 Update as of the year 2018 we had constructed a total of 51 homes for our sponsored children since the project started. 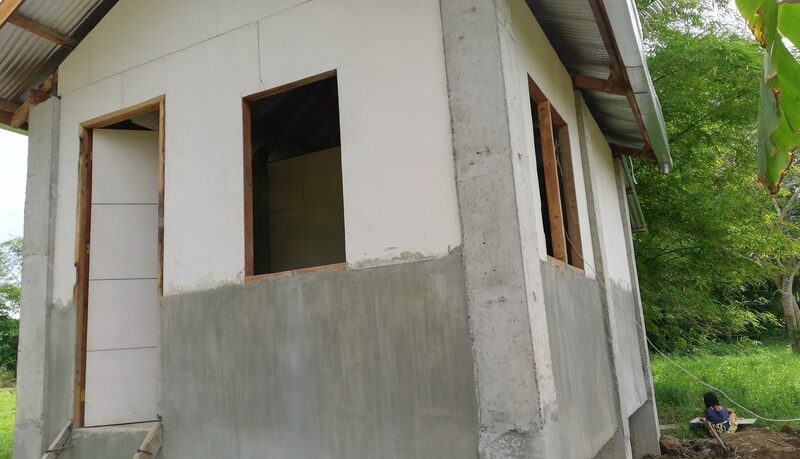 The Volunteer for the Visayans Build-A-Home Project is an ongoing initiative that desperately needs the support of international donors. You can Contact Us for more information about this project or send a donation via our sister-foundation the GoAbroad Foundation 501 (c)(3) through our donations page. Pingback: Living in a house of their dreams!